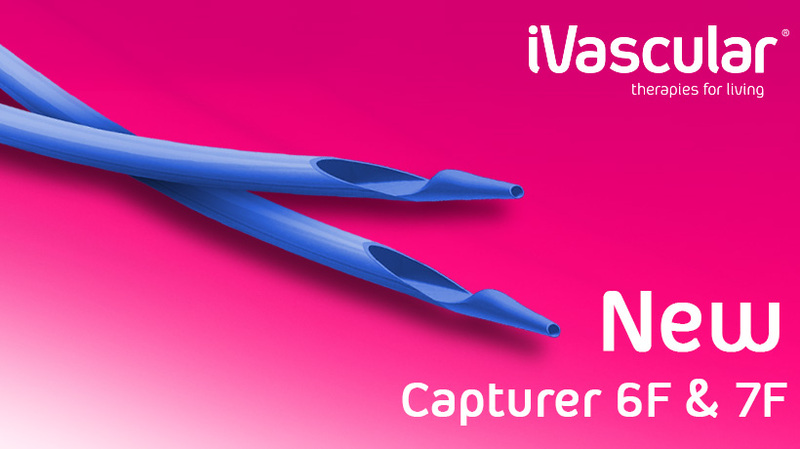 iVascular has obtained CE mark for the thrombus extraction catheter Capturer 7F. Capturer 7F has outstanding extraction capacity and claims to have the highest aspiration speed capability on the market. It is compatible with standard 0,014’’ guidewires, and is indicated for the manual extraction of fresh, soft thrombi from coronary and peripheral vasculature. Capturer 7F is an addition to the existing range of iVascular, already including the Capturer 6F.